American Horror Story has been an extremely popular series, and Coven was no exception. If you loved watching the Coven battle the Vodoo and find the new supreme, you need this AHS Coven poster in your dorm room. Yes, there's a place for creep college posters too! The creepy, dark and scary show thrilled and offered insight in to the magical world of witchcraft, which sounds like an odd inspiration for college decor, but it works in the case of this dorm room poster. Add this spooky poster for college to your college shopping checklist. 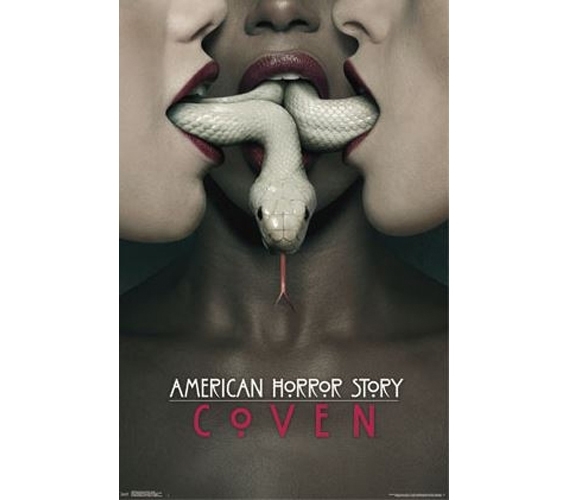 Decorating your dorm should be fun, so show off your favorite TV show with the American Horror Story - Coven Poster. Dorm room posters are college essentials, and even if it's a scary vibe, having some college posters are always better than bare dorm walls.